This week’s episode is sponsored by Simple Contacts, a convenient way to renew your contact lens prescription and reorder your brand of contacts from anywhere, in minutes. Get $20 off your contacts at simplecontacts.com/eyl OR enter code eyl at checkout. During this divisive moment in our country, how do we model good citizenship for our kids? 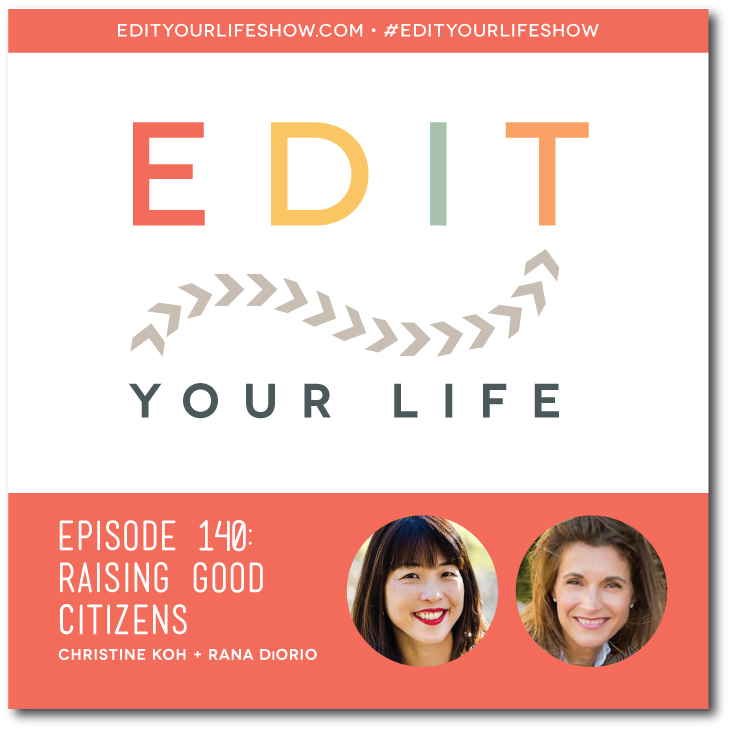 In Episode 140 of Edit Your Life, Christine interviews Rana DiOrio, co-author of the forthcoming book What Does It Mean to Be American? Rana shares what inspired her to write the book, what she felt was missing in the children’s book publishing market, and how books can open the door to two foundational aspects of good citizenship: inclusivity and empathy. What’s a small, simple thing you do to teach your kids about citizenship? Join the discussion on the Edit Your Life Facebook page (look for the Question Of The Week post pinned to the top of the page).